Do you have a Toshiba HX-MU900 FM-synthesizer unit and you wish you could do more with it? Now you can! It took us a while longer to produce the MSX Audio upgrade kit for the Toshiba HX-MU900 FM-synthesizer unit but it’s here! This upgrade will add 256KB sample ram to your Toshiba FM-synthesizer unit and has the same features as the MSX-Audio ROM for the Philips Music Module (latest version included, see our earlier posts). The original Toshiba program is also included in this ROM. Give your Toshiba module what it deserved a long time ago! 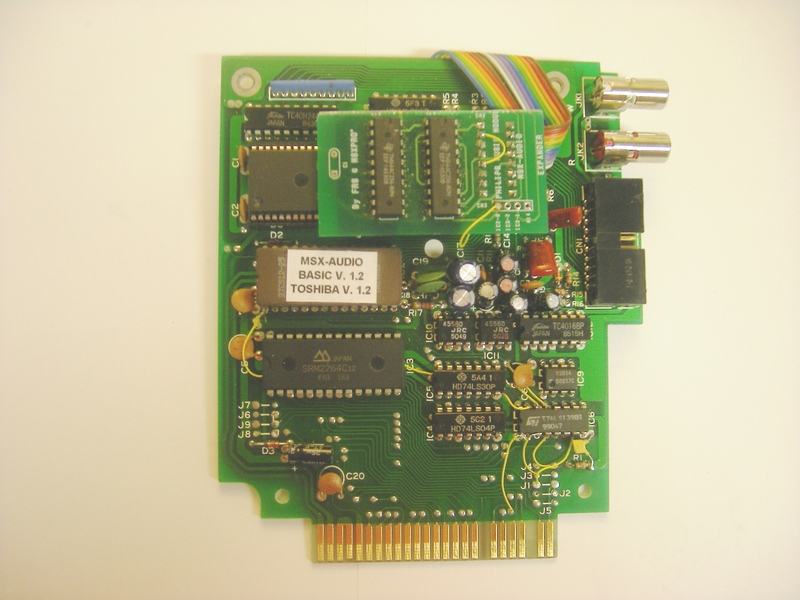 We have a new ROM for the MSX audio upgrade board. This new rom ensures better compatibility with Compile disk based games, support for loading programs from hard disk and configurations with slot expanders and multiple hardware configurations. Some users experiences lock-ups in some cases. We tested these configurations with a real Panasonic MSX Audio cartridge and we experienced the same problems. It’s safe to say that our new ROM is now more compatible than the original MSX audio ROM! We also included the default Philips Music Module program in the same rom. Pressing ESC during boot will start the default Philips Program. Pressing TAB during boot will disable the ROM completely. Because the new ROM is twice the size of our original rom some adjustments on the PCB are also necessary. Existing users who bought their expander PCB from SuperSoniqs may apply for the new ROM and needed parts without additional costs. Please contact info@supersoniqs.com for details. All new orders will go with the new ROM and adjustments to the PCB, starting today.